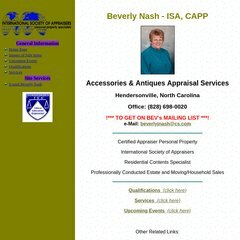 accantqs.com Accessories and Antiques - Appraisals, liquidations, conducted ..
accantqs.com Atomic Sauce Home Page - Accessories and Antiques - Appraisals ..
accantqs.com Events - Accessories and Antiques - Appraisals, liquidations ..
dns5.name-services.com, dns1.name-services.com, and dns2.name-services.com are some of its 5 Nameservers. Its IP Number is 208.83.111.122. Global Systems Consulting (California, Camino) is the location of the Apache server. PING www. (208.83.111.122) 56(84) bytes of data. A ping to the server is timed at 53.3 ms.